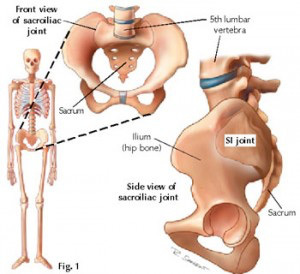 “Sacro… what?” is probably the response you would hear from most people if asked about sacroiliac joints (SI). You may never have heard of them before, but the SI joints play vital roles in both body stability and move­ment. These large synovial joints of the pelvis join the triangular bone at the bottom of the spine (the sacrum) to the two big pelvic bones (the ilia) on either side. Although these are crucial weight-bearing joints important for their part in the stability of the pelvis, they also move slightly for proper mechanics when walking or running. 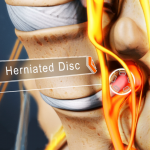 The SI joints can be affected by overex­ertion and injury. Your chiropractor is well-acquainted with the functional anatomy of these joints and will often adjust the SI joint to alleviate pain. As mentioned, one of the primary roles of the SI joint is to help maintain pelvic stability. 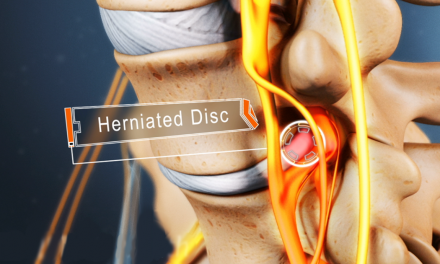 The SI joints are surrounded by tough, fibrous ligaments. 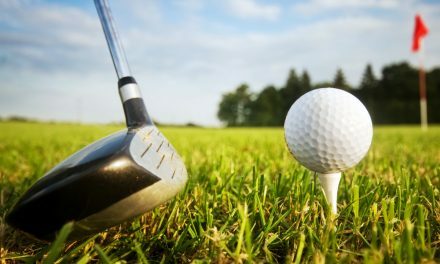 But if one or more of your SI joint ligaments become strained, you’re likely to feel pain directly over the SI joint. When they get strained repetitively, these ligaments can lose some of their structural integrity, making your SI joints more prone to subluxate. Since the two joints work in unison, if one of the SI joints becomes unstable, the other joint can become restricted. Regular chiropractic adjustments may be needed to maintain a proper balance between mobility and stability. Alignment of the spine is dependent on the function of the SI joints. When an SI joint is improperly positioned, it is possible that the sacrum is also out of its normal position. 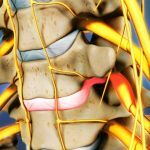 When this happens, the lower lumbar vertebrae can subluxate, leading to a greater chance of an abnormal lumbar curve and appearing as conditions like scoliosis and hyper- or hypo-lordosis. 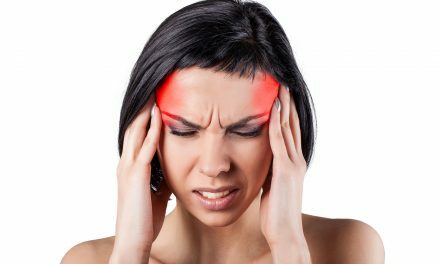 The first clue is pain directly over the joint, usually only on one side. If the pain is greater when you bend back­wards, inflammation of the joint is the probable cause of your symptoms. Local pain is not the only way you can tell you have an SI joint problem. Referred pain from these joints is often felt in the groin, and can also travel into the buttocks and down the back of the leg, mimicking sciatica or a lumbar disc herniation.3 If the SI joints are not functioning properly, this can lead to disturbances in your gait, which may cause hip, knee or feet problems.4. First and foremost, you should get a chiropractic assessment. 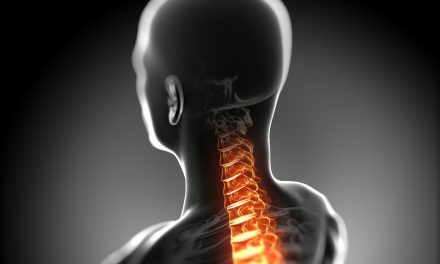 As a joint specialist, your chiropractor is uniquely positioned in the healthcare field to assess and treat any joint in the body. For the first 72 hours after the onset of pain, you should attempt to limit your activities that cause soreness and apply ice to the affected area for 5-10 minutes at a time to decrease inflammation. Restoring normal joint mobility is the next goal. If your chiropractor discovers that SI joint restrictions are part of the problem, chiropractic adjustments will be used to restore alignment and function. 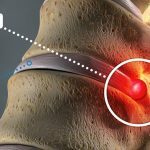 If joint instability is suspected, you may also be asked to temporarily wear an SI belt – a device that wraps around the pelvis to stabilize the SI joints. Finally, your chiropractor may recommend specific stretching or strengthening exercises, combined with regular chiropractic adjustments, to balance the alignment of your pelvis in the long term. PreviousHow Does Chiropractic Promote Overall Wellness?